Cyclonomia opened its doors in Budapest on June 15, 2013. Since then huge number of people participated in it’s functioning by coming to repair their bicycles. Cyclonomia has also been invited to participate to some bicycle awareness-raising events in several university and other workshop. 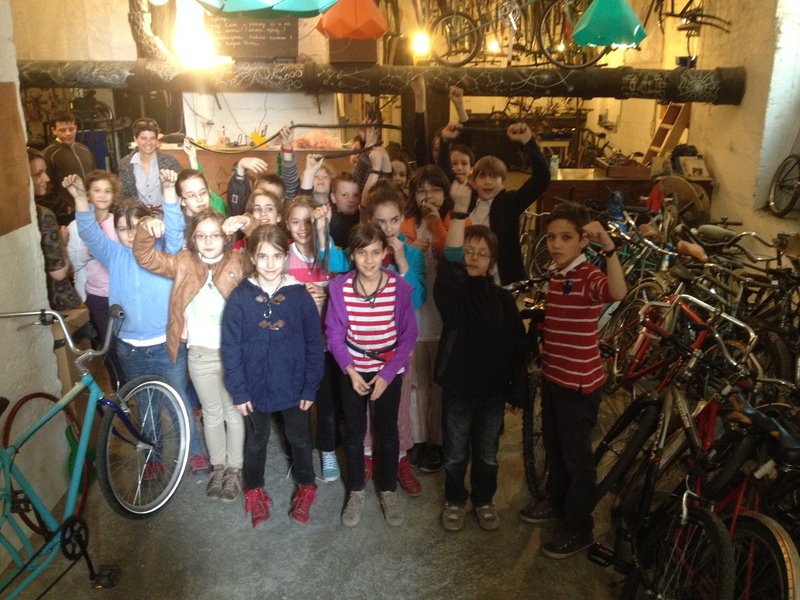 Cyclonomia also hosted several book lunchs, as well as students and pupils groups workshops, produced tools for heating with BAGázs NGO, or cargo bicycles, trailers and rickshaws, cargo bike sharing system…. Located at Katona Jószef utca 39, on the Pest side, next to the bicycle path, crossing the Danube towards Marguerite island. The membership allows you to repair your bike(s) in a participative and convivial atmosphere and to learn, meet, help and support others… Comfortable armchairs and drinks greet members. One can also support the project through donations in kind: money, bikes, parts, tyres, inner tubes, tools, food, etc. The workshop project intends to take part in the transformation of logistical imaginaries. One part is dedicated to the engineering and building of bicycle trailers and cargo-bicycles to test new uses. Cyclonomia refers to Cornelius Castoriadis’ notion of autonomy. The aim is to reappropriate the tools and know-how of bicycles making, recycling, and repairing. This project is a part of a bigger project of opening a Degrowth and Transition Centre in Budapest. Based upon concrete alternatives and places and a young transdisciplinary researchers’ collective, its objective is to experiment a transition towards more autonomy as well as a re-appropriation of know-how, re-localised economic and production systems within an urban landscape. This project is based upon the concept of Degrowth.